An important part of keeping your INFINITI in pristine condition is regular maintenance, including oil changes. On average, you should aim to have your oil changed every 3,000 to 10,000 miles. The exact mileage depends on the make and model of your vehicle. 1. Assess the level and quality of your oil. 2. Drain the old oil from the reservoir. 3. Replace the old oil filter. 4. Add new oil to the reservoir. 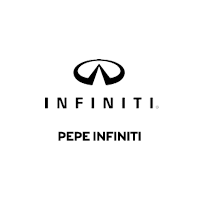 Pepe INFINITI in White Plains is a full service dealership, offering New and Certified Pre-Owned vehicles as well as a fully equipped service department. The full range of new INFINITI vehicles are available for viewing and test drive, including the latest models. Come see our team for special offers on vehicles, as well as parts and service.